The big question in this week’s blog is, can mobile printing help your business? In today’s ever-increasingly-fast-paced business world, time and speed is of the essence. But what are some unconventional ways to boost productivity and efficiency? When technology marches on, your business should thrive. The big question in this week’s blog is, can mobile printing help your business? Follow along as we attempt to answer that question. What’s To Think about In Implementing Mobile Printing? What does mobile printing have to offer? Well, consider the hectic amount of work your employees face on a daily basis. With mobile printing, your employees can jump over that frustrating “read-only” barrier on business documents and access them anyway, virtually anywhere, and at any time. Interacting with business documents beyond a surface level reading scan is immensely helpful for getting things done. While certain shortcuts may have been developed as so-called “workarounds” to get past these barriers, mobile printing eliminates the need for these shortcuts entirely. Emailing documents to oneself or to a client is less necessary, and you can even offer free printing for guests and customers when they are in the office. 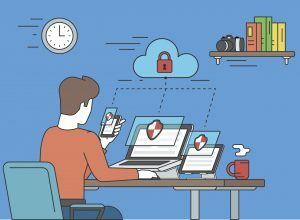 Increased data security: Use security measures such as passwords, identification cards, and the strict measure known as two-factor authentication in order to protect your data. If you choose a BYOD (bring your own device) policy, you must have clear guidelines governing its use. Lower costs: Cut down on hardware expenditures. You won’t need to rely on computer systems, namely laptops, for on-the-go workflow if you have mobility on your side. Modern computing machines, such as smartphones and tablets, can enable you to keep costs down once your employees learn how to use them effectively. But be sure to use some sort of central management program, system, or partner to monitor whichever solution you choose for your mobile printing. Much easier to use: What are your specific needs? Keep those in mind as you decide ways to bring your documents from the digital realm into the physical one. Will you use such methods as email-to-printer? Or browser-based? What about apps? All sorts of exciting features: What sorts of exciting features can mobile printing bring you? How about guest printing? Or more rules and guidelines for eco-friendly printing? Have you devices configured to ensure the simplest options are already preset. This entry was posted on Wednesday, April 12th, 2017	at 2:40 pm	and is filed under Blog, Equipment handling, Printing tips	. You can follow any responses to this entry through the RSS 2.0	feed. Both comments and pings are currently closed.